Imposing YOUR Goals Upon Others? When I first attended a network marketing opportunity meeting, I was told the story of a guy in that company, a former high school gym teacher, who was earning over $1 million every month. It was the story that changed my life. My initial thought was “wow, if I could do just one-tenth that well . . . and nobody’s ten times better than me at anything!” It was that night, March 1, 1998 that I knew that I’d become a millionaire in network marketing. But as much as that story was my blessing, it was my curse. Because as a “wet-behind-the-ears” network marketing rookie, I instantly assumed that everybody would relate to that story. I mean, come on! A million a month?! What I came to find, though, was that I’m not most people. Most people don’t believe its a possibility to earn that kind of money and are turned off at the mere suggestion. Hence, telling my favorite story would not attract people, but instead drive them away. And even when I became a seasoned professional, because of the way in which I was indoctrinated, I continue to impose my goals on other people. It’s in my DNA and very hard to dismiss. So, what is a win in network marketing? To me, its been $1 million a month. So, even though I’ve won a lot, according to my own goals and expectations, I really haven’t won yet. So I play the game on fire, often discouraged. If somebody joins network marketing with a goal to earn $100 a week extra and they achieve that goal, have they won? Conventional wisdom would say “yes” but my own Tommyville DNA says “no.” Hence, since I haven’t helped anybody become a millionaire yet – I feel as though I haven’t helped anybody win. And maybe that’s not the case. Maybe people are winning around me all the time. Hmm. Always remember that its important to root out and identify the goals and expectations of the people who join your team. This way you know what a win looks like for THEM, not you. It will save you a lot of hours on the network marketing shrink couch. 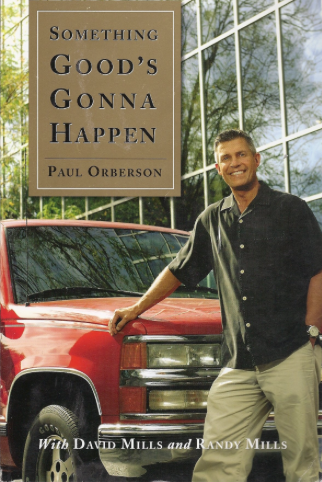 * This blog is dedicated to the million dollar man himself, Paul Orberson. After I spent 15 years striving to be Paul, now he’d gladly switch places with me. Paul succumbed to cancer (making a great argument for “perspective.”) Count your blessings and always cherish what’s most important. RIP, Paul.